One of the best Surf Camps in Portugal which throws outstanding barbecue parties with over 100 people per week during summer time. 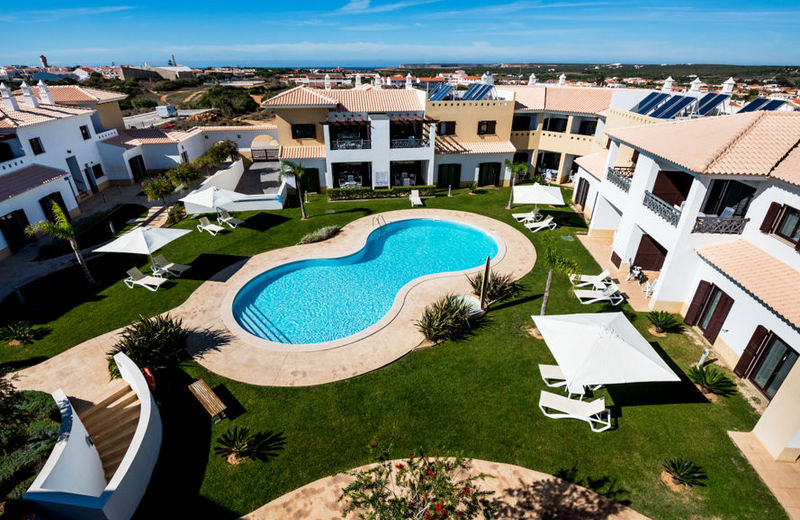 Raposeira Surf Camp is located in the tranquil village of Raposeira, between Algarve’s South and West Coast and the towns of Sagres and Lagos. It is the perfect location to get easy access to the best surf on any of the two coasts and enjoy the nightlife of Sagres and Lagos after a day at the beach. For those seeking relaxation after a lively day, are free to enjoy a chilled evening playing pool or relaxing at the terrace. 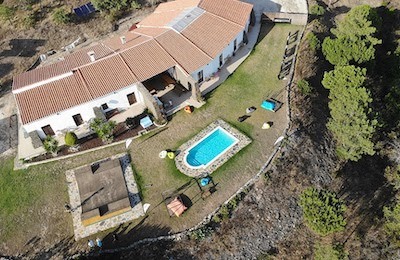 Surrounded by nature, hills, animals, the sea, and 2 minute walk to the small historic village of Raposeira, where you can find 2 typical Portuguese cafes, a Pizzeria and a small supermarket. Take a walk through the narrow streets with the typical Algarve houses. Huge Surfhouse with all modern commodities, clean and comfortable guest-rooms, TV lounge, Surf videos, Very nice Swimming pool, Skate board Ramp, and Horses to ride. Hiking, horse riding and riding lessons on our horses, dolphin watching, yoga and massage and spa treatments, everything is possible with us. If it is very quiet at night, you can hear the sound of the sea, the crickets chirping, and you’ll find yourself every night under a breathtaking starry sky. We offer our guests a large team of professionals to help them and make sure they have a great stay and learning. 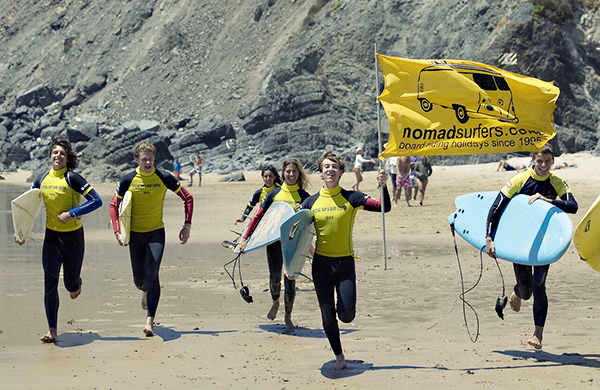 Pedro, Marlon and Rodrigo are probably in the ‘top 10’ most fun surf instructors of all surf camps in Portugal. 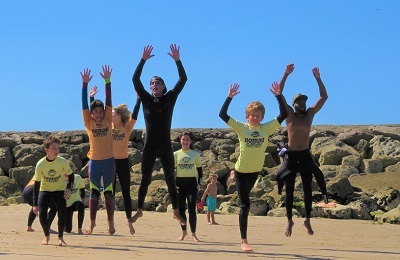 The surf camp is located in the Southwestern tip of the Algarve. A wild and uncrowded stretch of coast yet minutes away from the famous resorts of Lagos and Sagres, both with plenty of nightlife. It is a surfing destination unrivaled anywhere in Europe and unique in the way that it will give you a genuine taste of surfing lifestyle. You will be surrounded by a relaxed and friendly atmosphere. The surfcamp consists of a Main Surf House, 3 Bungalows, and 8 super cool Pyramidal individual habitats (Sheddies). It is a private villa, fully equipped, with all the benefits of a cool and friendly atmosphere with free Wi-Fi, satellite TV, Playstation and surf videos. There are 4 comfortable and modern bedrooms, each with private bathroom, for single, double or multi-bed rooms are available. In the colder seasons here in the Algarve, the daytime temperatures are not often below 15c, the evenings we spend by the fireplace. The surf house also offers heated floors. The three cozy Bungalows equipped with double beds or bunk beds and private bathroom, ideal for those who want more tranquility. Access to all the Main House facilities, while maintaining your own bit of privacy. Pyramidal individual habitats fit 2 people each and have shared toilets. Males and Females are placed separately. Enjoy all the advantages of the Main Surf House. The surf itself is surrounded by a breathtaking scenery, with steep reddish cliffs, wide sandy beaches and no real estate developments or seaside resorts in sight. The whole area is protected and part of the Costa Vicentina Natural Park. The access to the beaches is usually by dirt tracks twisting through a spectacular scenery. Wave size and quality range from average to epic, with an assortment of reefs and beach breaks. The West Coast receives swells from the north and southeast. This coast has consistent waves throughout the year and a variety of point breaks, mostly sandy. The South Coast receives swells from the south and large swells from the west. This region is not only known for its natural beauty but also the quality, perfection and consistency of its waves in winter. Most famous surf spot. Large sandy beach with dunes ideal for beginners – this is were many surf schools do their teaching. Only holds up to two meters. Respect locals ! Adjacent to Praia do Amado. Splendid surf spot with sandy beach accessed through a lagoon surrounded by dunes. Perfect for beginners, but watch out for the undercurrent. North of Carrapateira, a scenic surf spot and beach showcased by a high cliff topped by a picturesque whitewashed village. Beach break, usually half the size of other west coast beaches – good when others are too big. To the right of the beach, you have a good reef break, good right, but it only breaks with at least 1.5 meter swell. Watch out for the “hamburger” or “Kangaroo” rock. Only for Kamikazes ! Europe’s southwestern most point, this peninsula is surrounded by the Atlantic to the south and the west, providing numerous surf spots and surfing options according to swell conditions. Respect locals ! On the Algarve’s southern coast. Surf spots with good breaks offering a good alternative to the western coast when the swell is too big there, or when the SE wind (Levante) blows. The camp offers surf packages including accommodation and courses for all levels, from complete beginners who want to learn the art of surfing, to intermediates who want to improve their technique. We offer our students the best technical surfing material available in the market as well as the best wetsuits from the prestigious brand Quiksilver. The lessons will be adapted to your level and highly experienced surf coaches will make sure you reach your surfing goals! In summer we usually teach surf courses in Praia do Amado, and in winter many times we teach at Mareta Beach in Sagres. This is a good protected beach when the north west swells are huge and everywhere in too big. Raposeira Surf Camp is probably one of the best surf camps in the Algarve. Its located in the Costa Vicentina Natural Park, situated in the quiet and historic village of Raposeira, 5 minutes by car from the town of Sagres. 15 minutes to Lagos. The surfcamp is 5 minutes from the south coast beaches of Zavial, Ingrina and Barranco and 15 minutes from the west coast beaches of Tonel, Mareta, Cordoama and Castelejo, offering always good surfing conditions. Supermarket, bars, Pizzeria, and traditional restaurants within walking distance. Algarve’s capital Faro enjoys a central location on the coast and the old town has many historical monuments, including a medieval wall. Further west, Lagos is a well known touristic destination on the banks of a river estuary and its old quarters are enclosed within 15th century walls. Also worth a visit is the little town of Monchique and its famous thermal spa, nestling in the Serra de Monchique mountain range, which highest point at nearly 1,000 meters enjoys splendid panoramic views across the Algarve to the Atlantic. Sagres lies at the western end of the Algarve, next to Cabo Sao Vicente. It was here that five centuries ago, Prince Henrique set up a school of navigation which has played a crucial role in the Portuguese discoveries. The town has a magnificent fortress built in the 14th century with a giant 43 meters compass rose. Cabo Sao Vicente fortress is poised on high cliffs facing the Atlantic. It was built on the original Roman site of “Promontorium Sacrum” – or sacred promontory, as they believe the cape was the end of the world, being the southwestern-most point of Europe. The Algarve has a Mediterranean climate, with hot dry sunny summers and mild winters. Due to its exposure on a peninsula, the region enjoys excellent swell and wind conditions year round for the practice of surf and kitesurf. Even in January, the coldest month of the year, Faro has an average maximum temperature of 16°C. In the summer, temperatures are generally hot, with a mean maximum temperature of 29°C. Raposeira is located between between Sagres and Lagos. FRANCE : Direct flight to Faro. You can book a private shuttle from Faro Airport for 85 EUR, one way per car (up to 5 persons). Approx. 1h drive. Book your transfer on http://www.faroshuttlebus.com 25€, 2 to 4 hour drive time (put Sagres in destination and tell the driver directly that you want to be drop of at Raposeira). – Take a train to Lagos.Then we will pick you up in Lagos (25€). – Take a bus to Lagos. Then we will pick you up in Lagos (25€) . All you need to do is contact us, to let us know what time your bus or train arrives and we will be there to pick you up. Learn to surf or improve your level! Note: From May to September, arrivals only on Saturday. Customize and add on other activities! Note: Prices for a week stay, for 1 person. Prices for a week stay, for 1 person. If you are choosing Eat & Sleep package and do not want to take a hustle of bringing your own equipment it is possible to pre-book surf equipment. Also you might want to add a one-to-to one lesson with a highly experienced coach to get the most out of your stay.